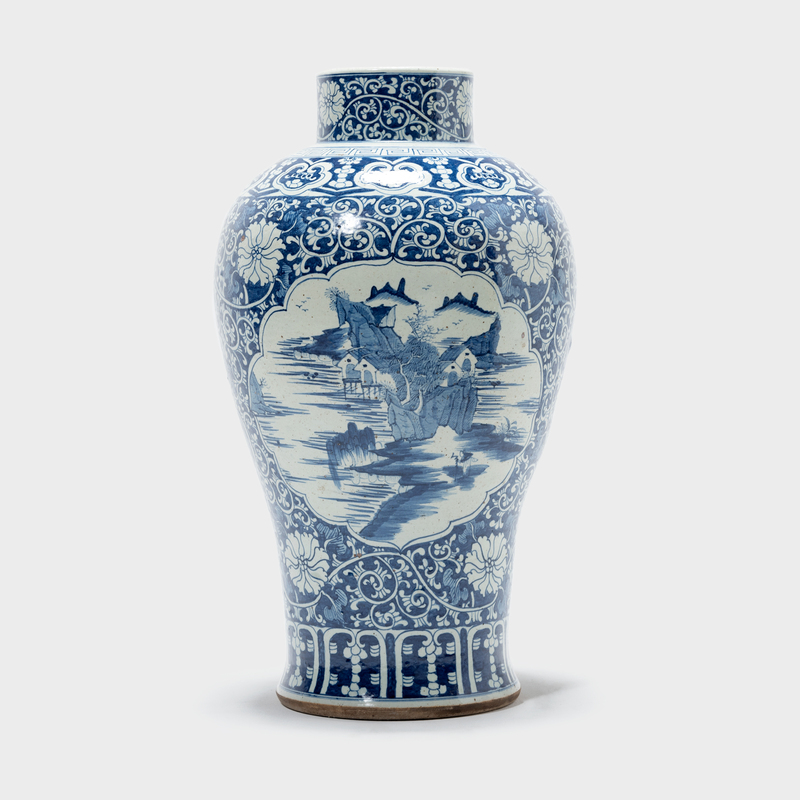 Originally cast in bronze, the gu vase form dates back nearly three thousand years. 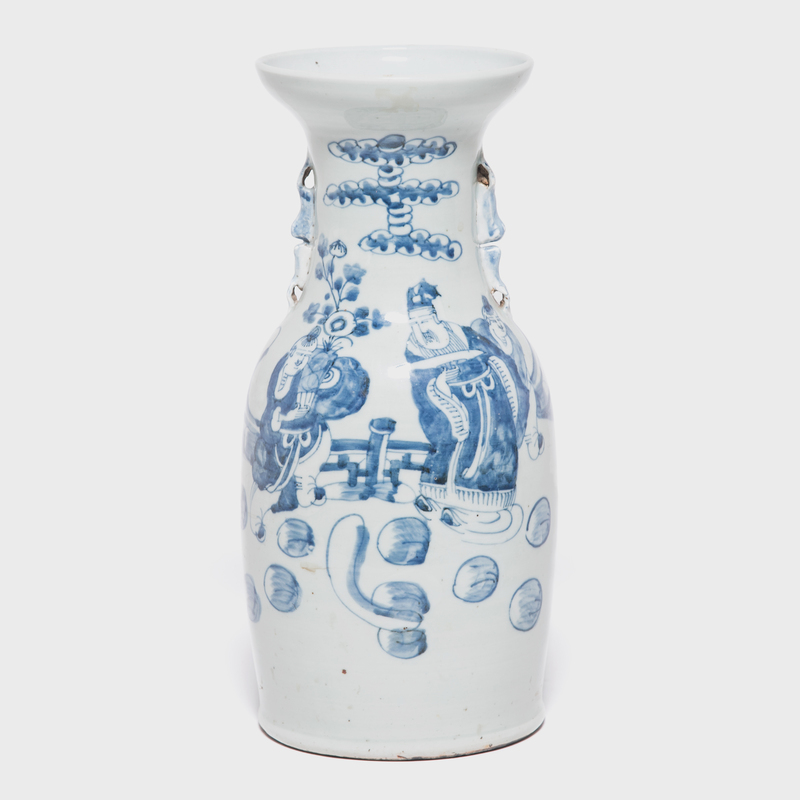 Characterized by a slender body and flared mouth, gu vases were traditionally used for drinking wine or presenting ritual offerings. 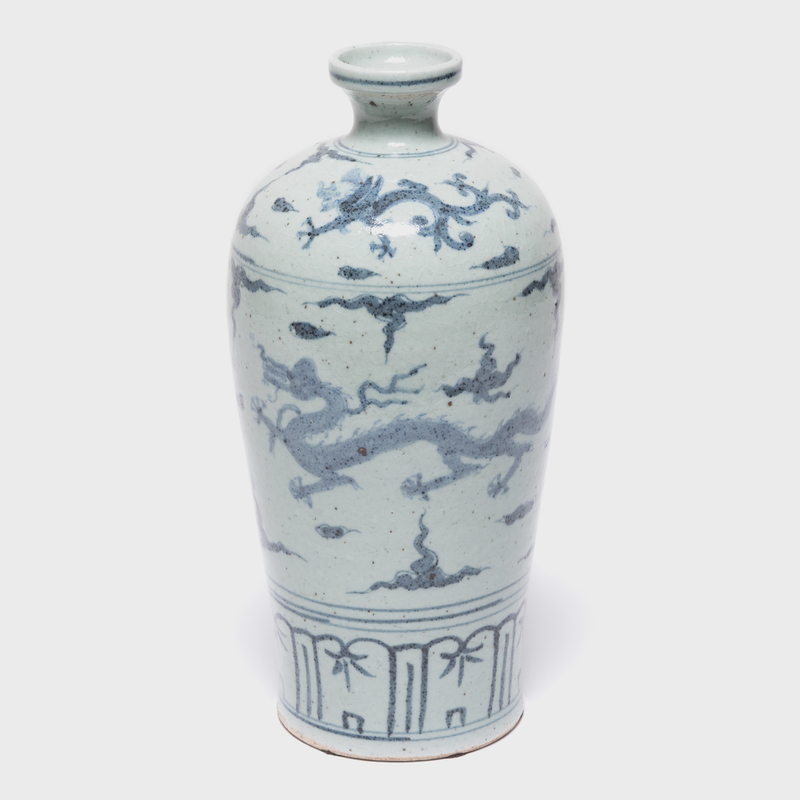 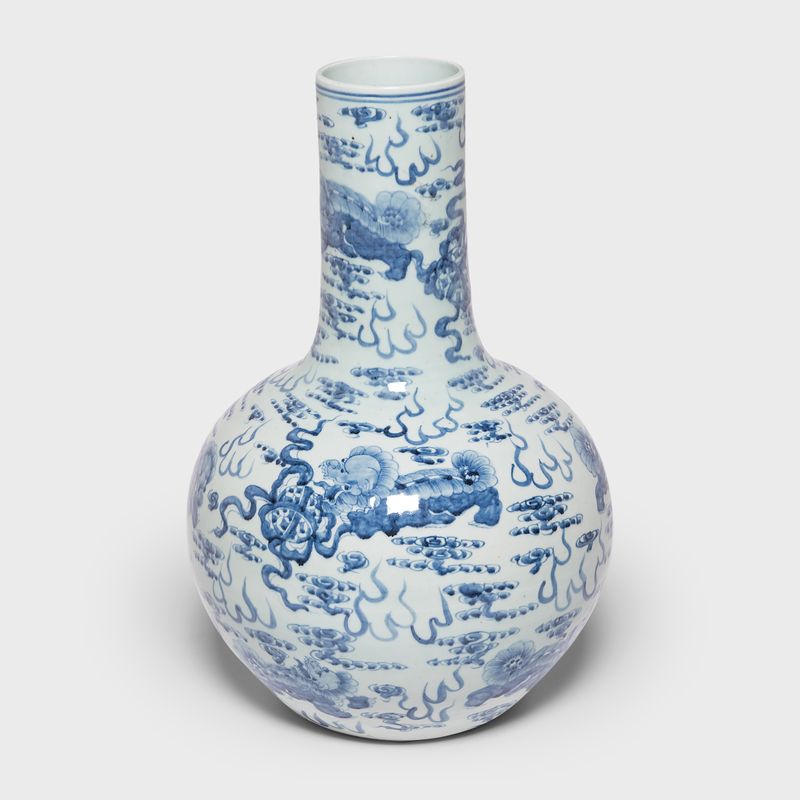 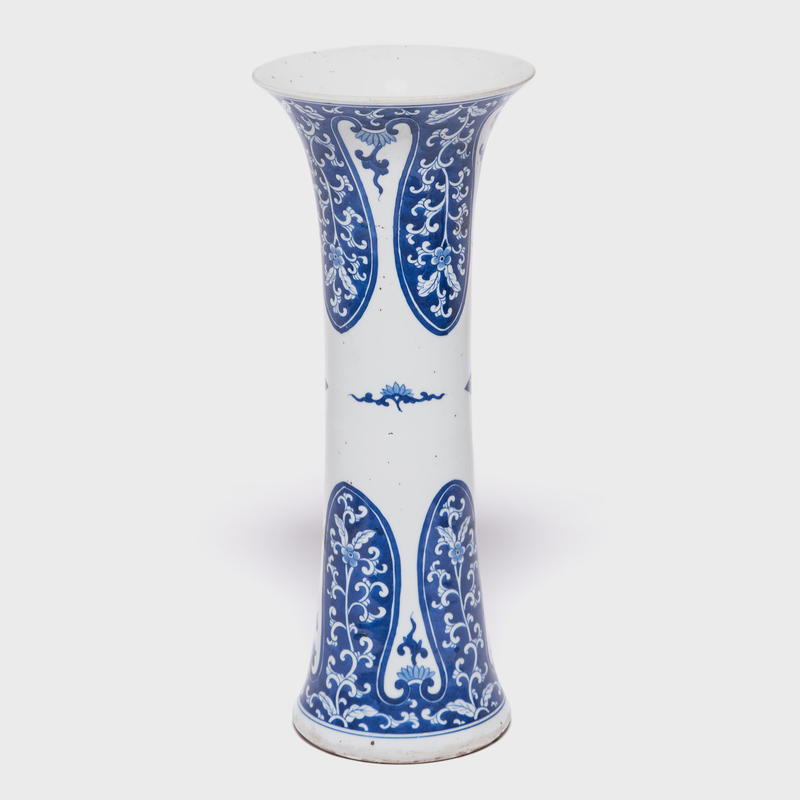 Crafted of porcelain, this Qing-dynasty blue-and-white gu vase exhibits a stylized botanical motif of abstract leaf panels and delicate floral scrolls painted in deep cobalt blue.